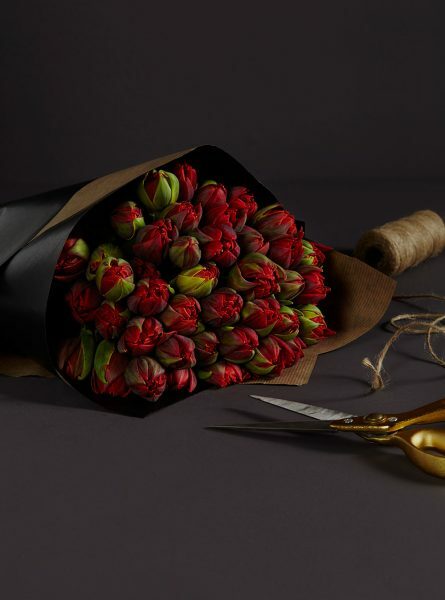 Add a burst of colour this spring with a bunch of red double tulips, featuring twice the number of petals to a standard tulip. 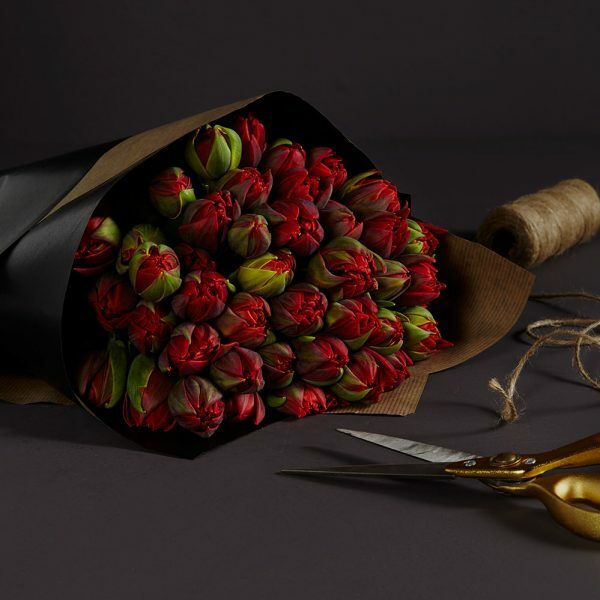 Each bunch is wrapped in our signature Kraft paper and ready for you to arrange at home. To display, simply pop your fresh flowers into a chic glass vase or ceramic pot for an instant and fabulous design that will transform your space. Approximately 25 flower stems in the medium & 50 flower stems in the large will feature in our bunches of red double tulips. Image shows large sized bunch.